If you noticed that the Antimalware Sevice Executable process takes up high CPU on Windows 10, rest assured, you’re not alone. Many Windows 10 users also report this problem. More importantly, you can fix this problem by yourself without asking a technician for help. In this article, you’ll learn what Antimalware Sevice Executable exactly is and how to fix its high CPU usage issue. You may know Windows Defender in your Windows, it’s an antivirus software built-in Windows 10. Antimalware Service Executable is one of the background-running services in Windows Defender. It’s also known as MsMpEng.exe, you can find this on the Details tab in your Task Manager. Antimalware Service Executable is running to scan the malware and spyware when you access them. It will detects if there’s anything harmful. Besides, it also takes a background scan of your system for any viruses or worms. Its scanning relies heavily on your computer’s CPU, that’s why you find it’s eating the CPU usage on your WIndows 10. Couldn’t we solve this problem for the safety of our Windows? No, actually you can solve it. Move on the next part please. The error is mainly due to its real-time protection feature. 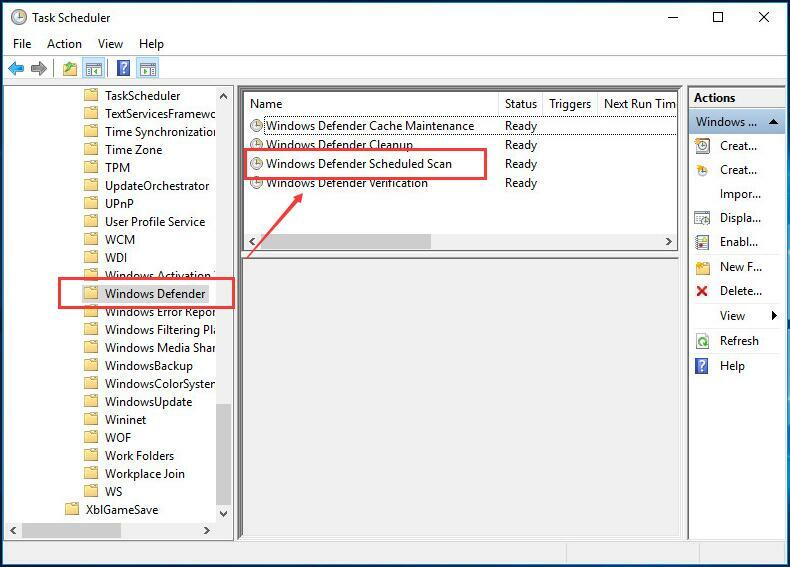 So we can change Windows Defender’s schedule to fix it. 1) On your keyboard, press the Windows logo key and R at the sametime to invoke the Run box. 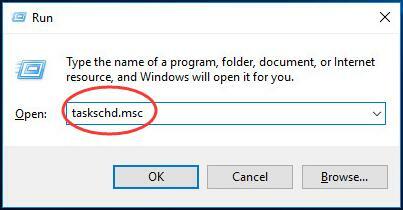 2) Type taskschd.msc and press Enter. 2) Double-click on Task Scheduler Library > Microsoft > Windows. 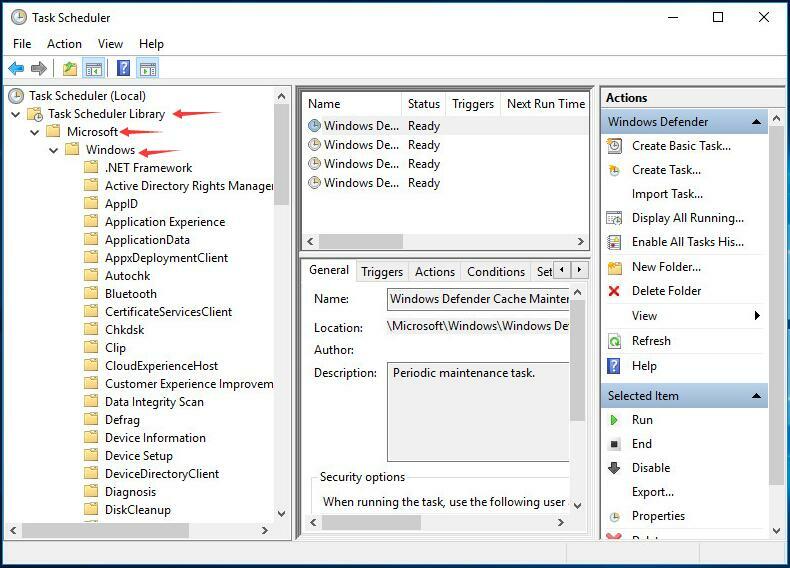 3) Double-click Windows Defender in Windows. 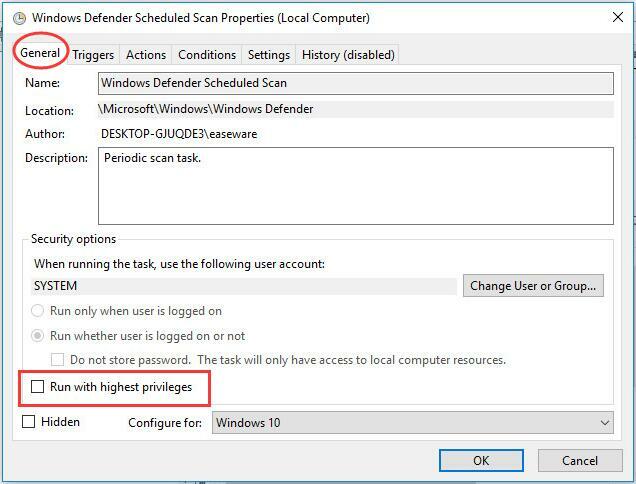 Then double-click Windows Defender Scheduled Scan. 4) Uncheck Run with highest privileges. 5) Uncheck all the items in the Conditions section. Then click OK.
With the steps above, your error should be fixed now. If unfortunately it doesn’t works, please don’t be frustrated, try the following method. 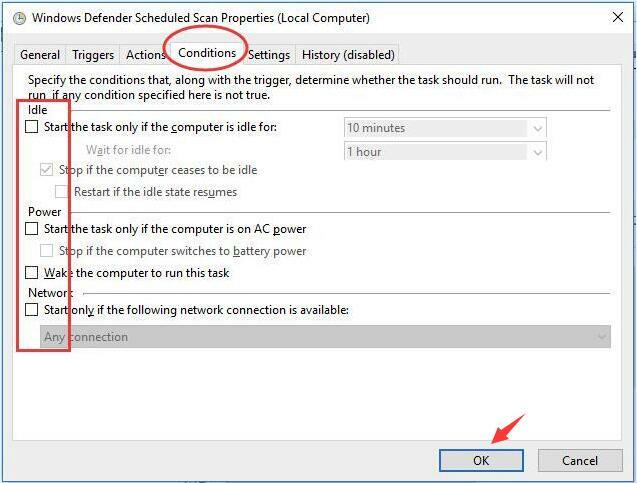 2) Click Windows Defender. 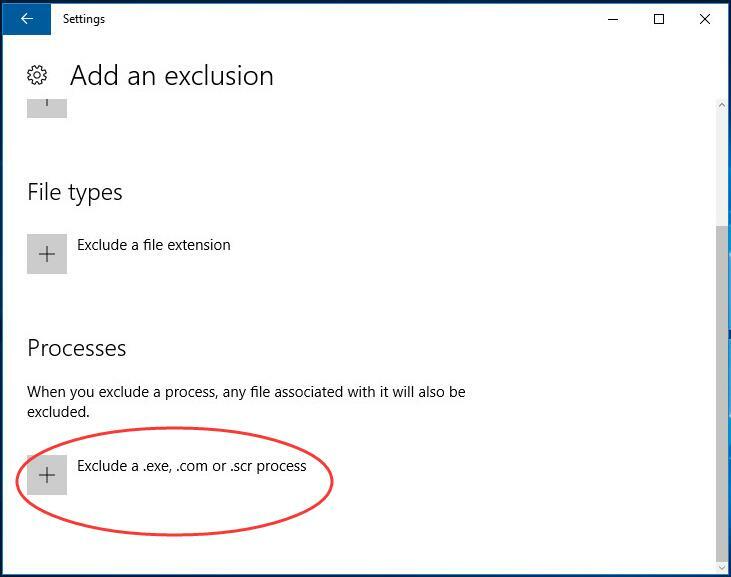 Then click Add an exclusion in Exclusions. 4) Type MsMpEng.exe. 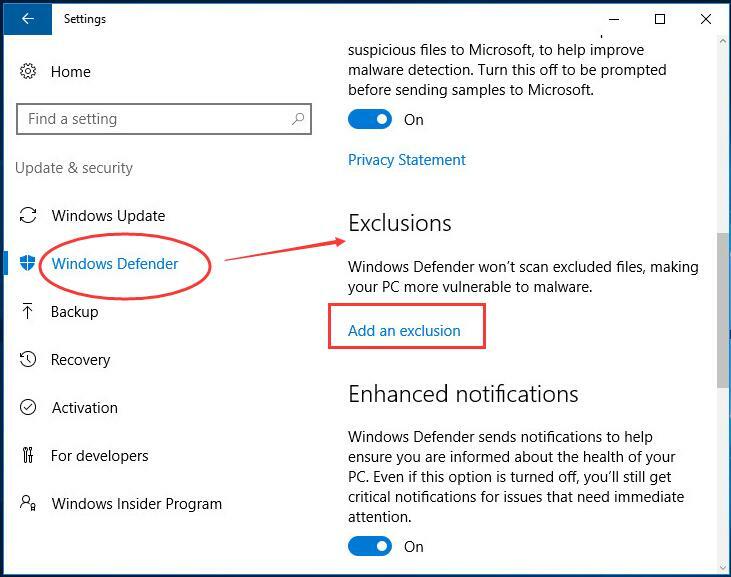 Then click OK.
Now you have added Antimalware Service Executable to Windows Defender exclusion list. The error should be fixed by now. If, after trying the above, your PC is still running slow, we highly recommend you to update all your available device drivers. The latest drivers can keep your computer running stable and quickly. 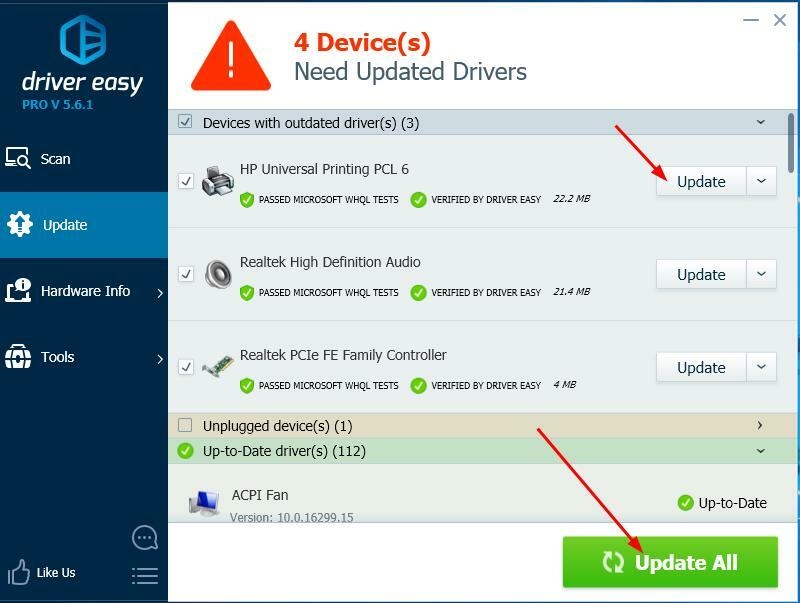 There’re two trusted ways you can update your device drivers — manually or automatically. 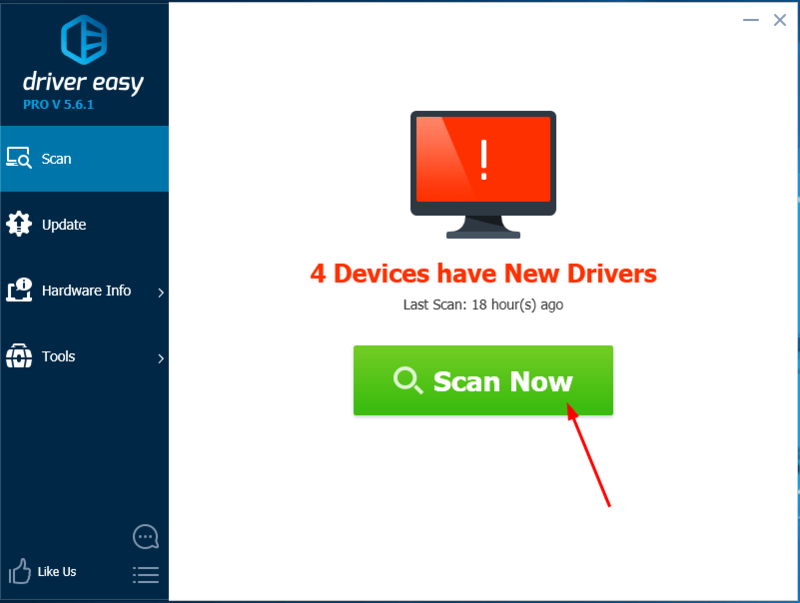 Manual driver update – You can update your device drivers manually by going to the manufacturer’s website, and searching for the most recent correct driver for the exact device. Be sure to choose only drivers that are compatible with your variant of Windows system versions. 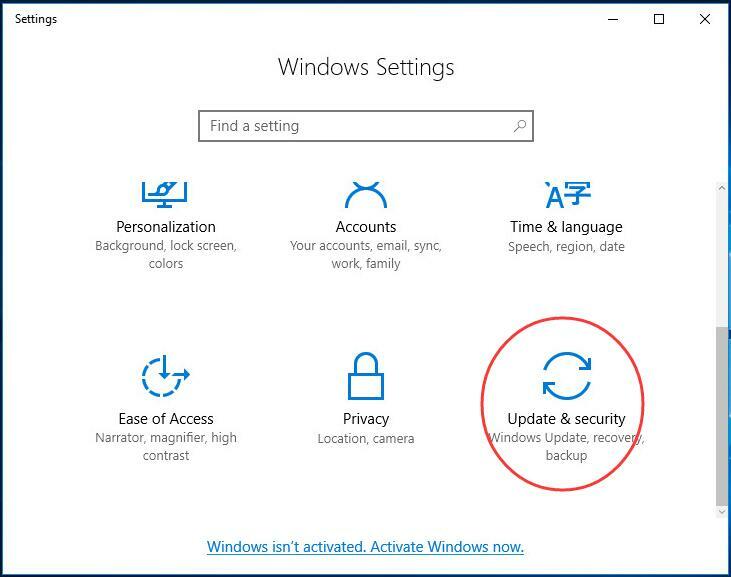 3) Click the Update button next to any flagged device driver to automatically download the correct driver, then you can manually install it. (you can do this with the FREE version).